This is the third post in my pizza series. If you missed my previous posts, please check them out. 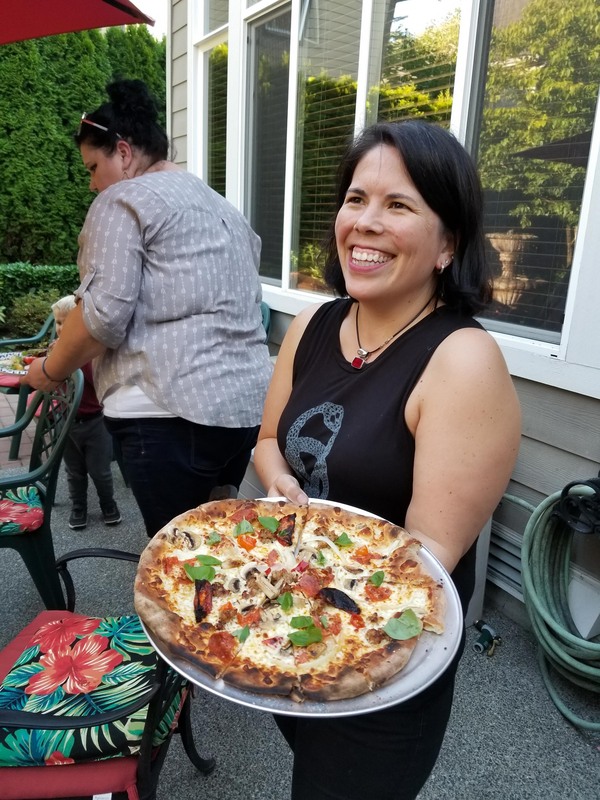 I gave a brief history of pizza, discussed Italian pizza styles, talked about baking techniques, posted my pizza sauce and dough recipes, and gave my recommendations for tomato products. They say the main difference between New York and New Jersey pizza is the water. The water in New York makes their crust pliable, so when you fold a slice lengthwise to eat it (a typical New York method), it does not crack. New Jersey pizza on the other hand has a crisper bottom which will crack when folded. Otherwise these two pizzas are pretty similar. New York pizza is a style originally developed by immigrants from Naples. It is generously sized, with a thin, pliable crust. It’s almost always hand-tossed, moderately topped with a southern Italian-style tomato sauce, and liberally covered with cheese. 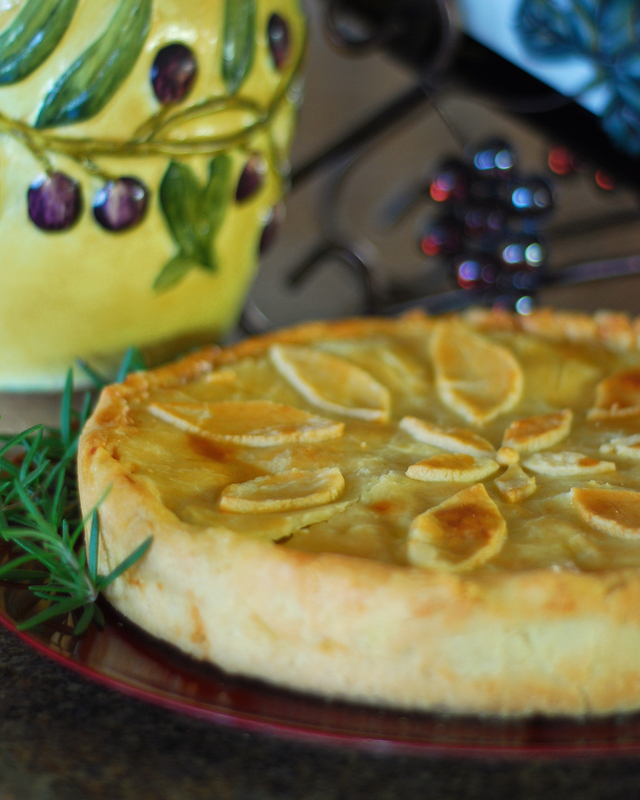 It shares some qualities with its Neapolitan cousin but is typically a much larger pie. The reason slices are usually eaten folded in half is its size and flexibility make it otherwise difficult to eat by hand. 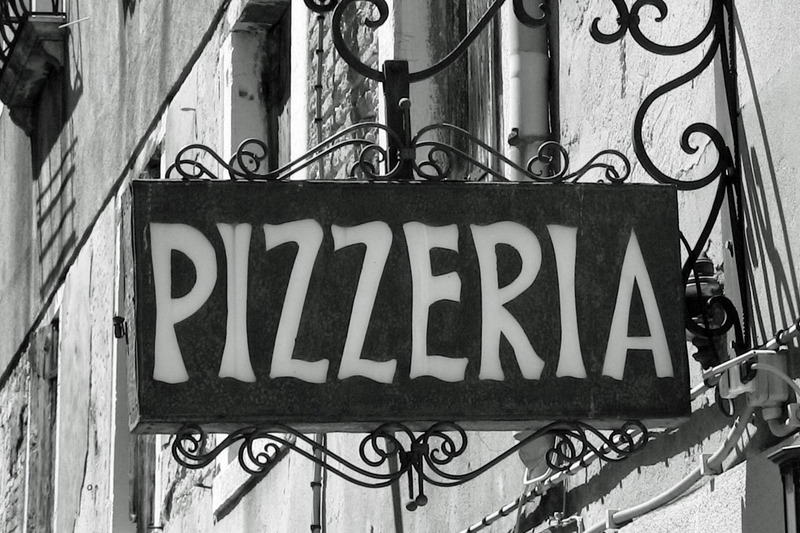 This style of pizza dominates the NE states, and you’ll find pizzerias all over the country trying to imitate it. At Frankie’s our pizzas were similar to this but our crust was a little thicker. I was always honored when a New Yorker gave us high marks because they always thought there was no match for it. I once had a New Yorker tell me ours was even better and I almost fell over. Since we started on the east coast we’ll hit a lesser known pizza, at least to those of us out west. 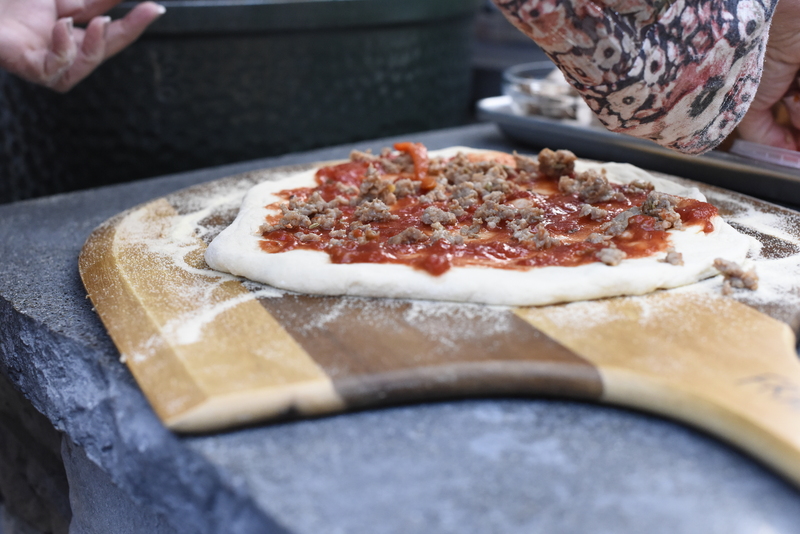 Based in New Haven, Connecticut, this brick oven cooked pizza (or “apizza,” as New Haven-style restaurants call it) has its roots in Neapolitan-style pizza but is a delicacy all on its own. New Haven uses a long cold fermentation process for the dough, and the oven gets the pizza nice and charred. A “tomato pie” skips the cheese, and most New Haven pizzerias will treat mozzarella as a topping on its own. Another variation is their white clam pizza, with clams, garlic, and cheese. Working our way west we next come to Detroit. Some compare Detroit style pizza to deep-dish Chicago style, but it’s really very different. Detroit pizza is made in a square or rectangle pan. The square shape is said to be the result of an early tradition of using metal trays originally meant to hold small parts in factories. The dough is light and airy, similar to Sicilian dough methods, and the middle of the crust is nearly as thick as the edges. When cooked, it’s crispy on the bottom and edges but light and soft on the inside. 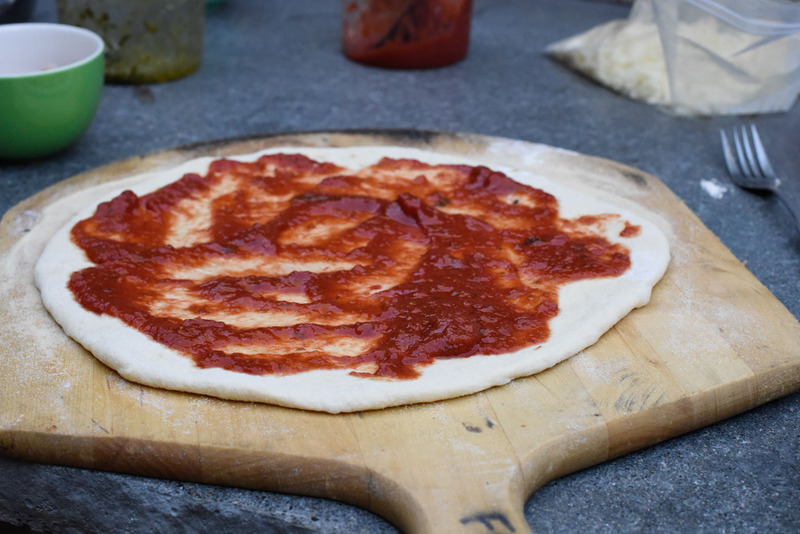 Like Chicago pizza, the toppings and cheese (traditionally Wisconsin brick cheese, not mozzarella) go on before the sauce, protecting the dough from getting soggy. That’s why this pizza is sometimes called “Detroit Red Top”! Not all Chicago pizza is deep dish. There is a thin style as well, but the deep dish version is so iconic that it is the version we will talk about. Developed In the 1940s, the deep-dish version, has a deep crust that lines a large round metal pan. Every Chicago pizza place from Pizzeria Uno to Giordano’s has its own deep-dish crust recipe, but generally, it’s made from either wheat or semolina flour to give it a yellowish color when baked (and Lou Malnati’s has its famous butter crust). Though the pizza is quite thick, the crust itself is thin to medium thickness, and the pizza has a very thick layer of toppings. It requires a long baking time, so the toppings are usually assembled “upside down” with cheese, vegetables, and meats placed on top of the crust, and an uncooked tomato sauce on the top layer, to help the vegetables and meats cook all the way through in the oven, and prevent the cheese from burning. Moving farther west we find the St. Louis style pizza, originated in the 1960s by Ed and Margie Imo of Imo’s Pizzeria. 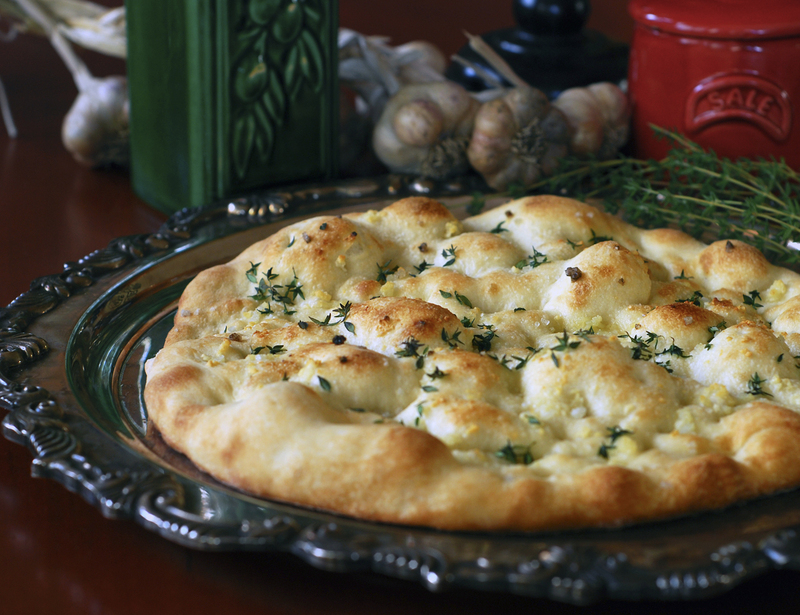 It has a thin, cracker-like crust, made without yeast, and is topped with Provel cheese, rather than mozzarella. Provel is a white processed cheese, made by combining cheddar, mozzarella, and provolone cheeses, and used primarily in the St. Louis area. 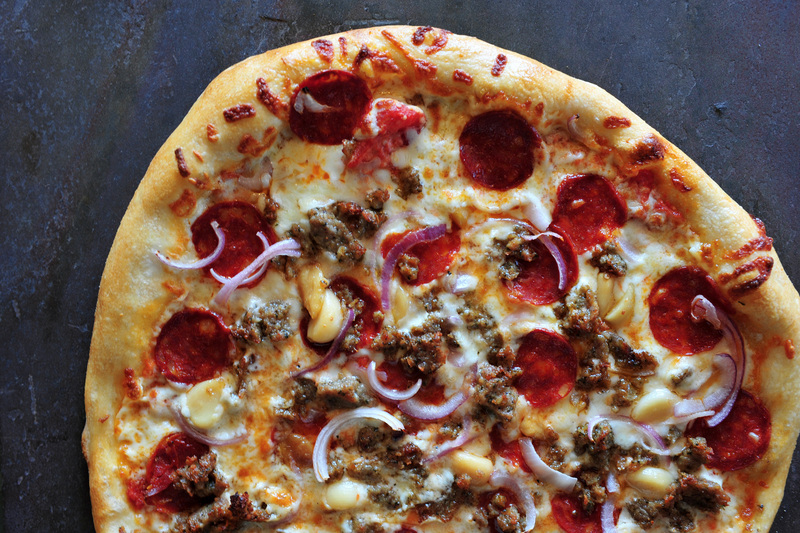 Even though this pizza is round, St. Louis-style pies are always cut into small squares. California style pizza is less about hand-tossed dough, tomato sauce, mozzarella, and cured Italian meats… and more about the toppings. This pizza embraces the cuisine of the west coast. Experimentation has few limits… think quail eggs, goat cheese, duck sausage or lobster, or smoked salmon with crème fraiche and capers. Two pizzas that really caught on were the Barbeque Chicken Pizza, and Thai-inspired Chicken Pizza with peanut sauce, bean sprouts, and shaved carrots. The focus is always on fresh, quality ingredients and a unique pizza eating experience. 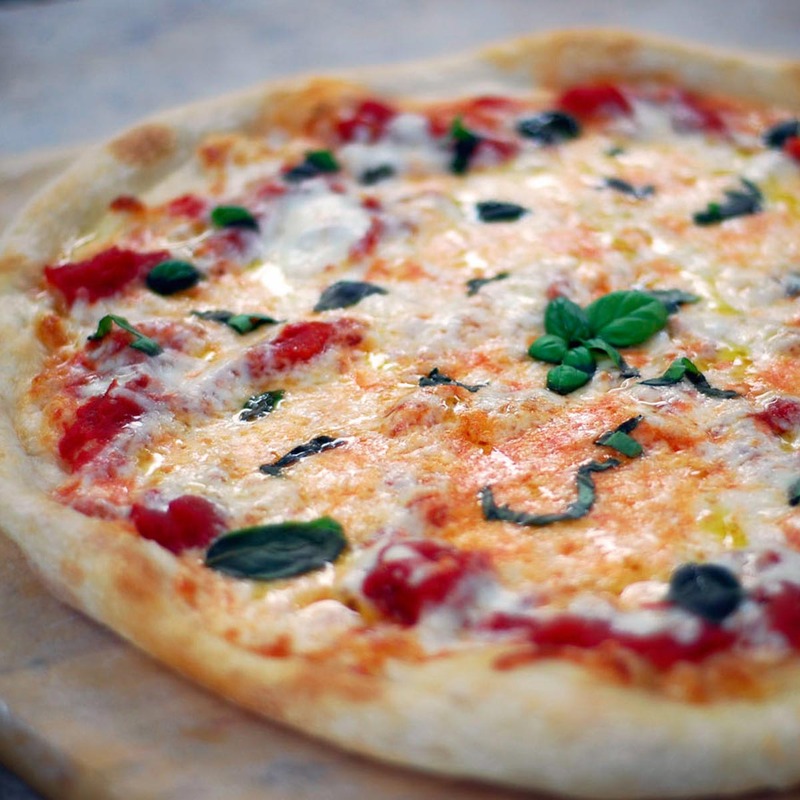 California pizza generally uses a dough similar to the Neapolitan, and pizzas are rarely bigger than twelve inches. 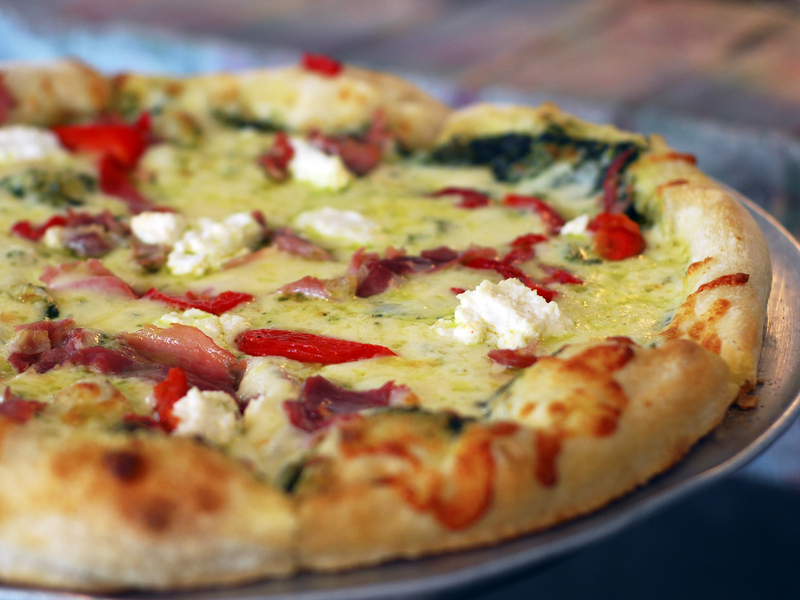 This style of pizza is generally credited to Chef Ed LaDou who developed a pizza with ricotta, red peppers, mustard, and pate, that Chef Wolfgang Puck fell in love with in the early 1980s. Puck hired LaDou to work at the newly opened Spago in 1982. In 1985, Chef LaDou created the first pizza menu for California Pizza Kitchen. Now that we understand the roots of pizza, through its history and varying styles, let’s get back to the “how-to’s” of making a great pizza. 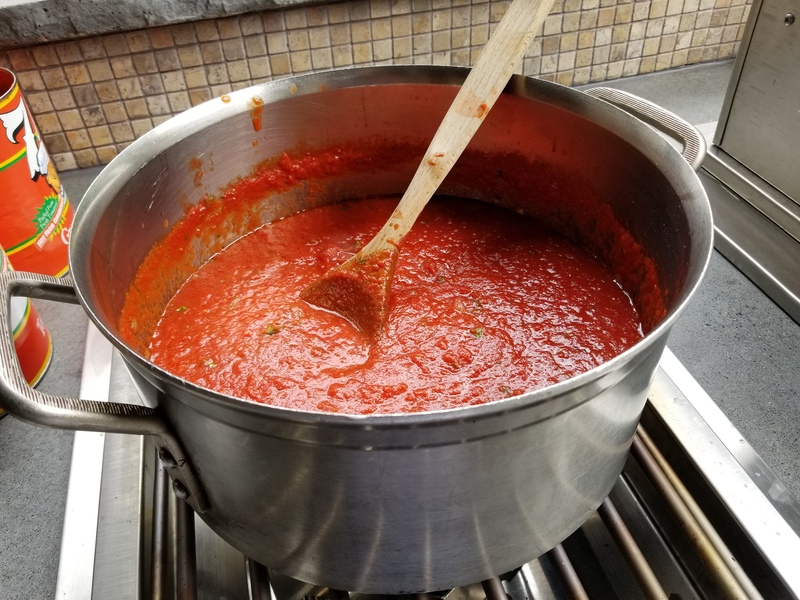 In my previous posts I provided you with recipes for our Frankie’s pizza dough and sauce, and talked about the best baking procedures. In this post I’m going to share my other favorite sauce… fresh Basil Pesto… and the secret of making three of my favorite pizzas from our Frankie’s menu… all of which feature this pesto. But before I give you the recipe let me share a few secrets I’ve learned about making the best pesto you’ve ever had! Basil Pesto originates from the Genova area in the region of Liguria, a coastal area in northwest Italy (think Cinque Terre and north). I’ve had pesto here and it is super fresh, vibrant and flavorful. Why so good? I’d say the most important are basil, olive oil and cheese. Fresh Basil: A lot of the basil here is grown in raised beds, often in greenhouses, with the plants very close together. It is harvested very young while the leaves are at their most tender and flavorful. You’re not going to find basil like that here, but you want it to be as fresh as possible. Your best bet is either grow your own (easy when the weather is warm), or to buy live, potted basil plants (or live basil with roots in water). Then use the freshest and most tender leaves. Olive Oil: A good extra virgin olive oil will make all the difference. Olive oil loses its fresh, fruity flavor as it ages or gets exposed to too much heat or light. Look for oils which list the year of their harvest on the bottle. Olives are harvested in the late autumn so most of the time you’ll be buying oil which is from the prior year. If it does not list the harvest it, it is likely more than a year old. A local olive oil shop will have some of the best oils, but I’ve also found high quality oils, of the most recent harvest at places like Costco and Trader Joe’s. Parmigiano-Reggiano Cheese: The best cheese for pesto (and one of the best cheeses in the world, period!) is aged Parmigiano-Reggiano from the Emilia-Romagna region of Italy. You will know it’s the real thing by looking for its stamped rind. BUT, not all Parmigiano-Reggiano are aged for the same period of time. The best quality-price ratio I’ve found is at Costco… not the pre-grated stuff in the jar, but the wedges. Even there it is not cheap but it will last you a long time. I bought another brand at a local grocery store recently and I could tell it was younger because it was softer and much less flavorful. Other Ingredients: The next major ingredient is pine nuts or some other type of nut. Pine nuts are very expensive so you can substitute a different nut such as walnuts or even pecans. The flavor will change slightly but its not really all that noticeable. One non-traditional ingredient I add to my pesto is fresh squeezed lemon juice. Its acidity brightens both the color and flavor, and it helps it keep its bright color. Another optional ingredient, which I learned from Marcella Hazan (one of the most respected Italian cooks of all time), is softened butter. It adds a little creaminess and richness to the pesto. Homemade Limoncello… so easy… start a batch now for Spring! I am taking a brief unplanned diversion from my pizza series (I’ll do my third pizza post next week). I recently posted a couple of pictures on Facebook of me starting a batch of Limoncello. I got so many people asking for the recipe that I thought I better post it to avoid a rebellion. I also mentioned a couple of dessert (dolce!) recipes made from the Limoncello. I will post those soon. Limoncello is a lemon liqueur which is primarily produced in the southern coastal areas of Italy, such as the gulf of Naples and the Amalfi Coast. It is made from fresh lemon peel, alcohol, water and sugar. 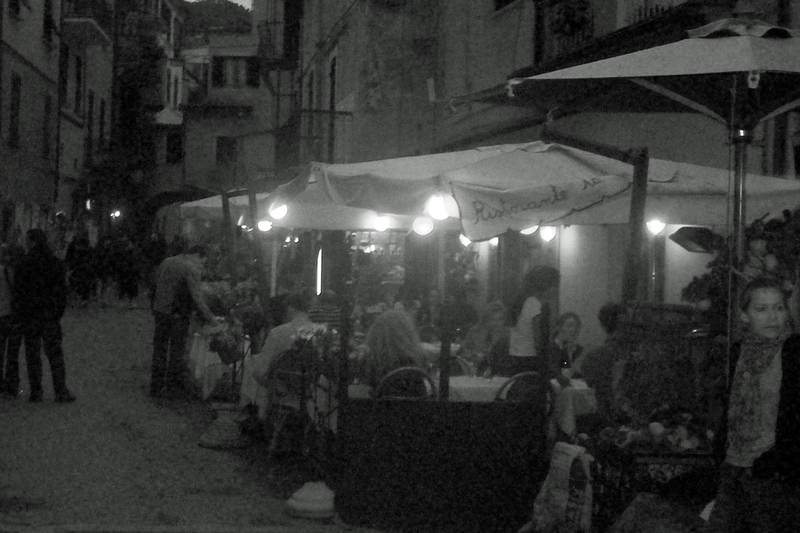 Traditionally it is served chilled (from the freezer) as an after dinner digestivo. Limoncello is super easy to make; however it needs time to steep properly (weeks or even a month or two). So start your batch soon so you can enjoy it when the weather warms up! Recipes I’ve worked with vary widely in how long to steep the lemons in the alcohol, and then again after the simple syrup (of sugar and water) is added. Essentially, the longer it steeps, the better it will be; yet you hit a point of diminishing return, where the differences are so subtle it is hard to even differentiate. Here is a tip for you… if you want to speed up the process, you can always add more lemon peels than what the recipe calls for. Just don’t go crazy or the lemon flavor might overwhelm. In addition to the ingredients listed you will need a large glass jar, such as you would use to make sun tea. You will also need enough clear, sealable glass bottles to accommodate nearly 8 cups (about 1800 ml) of finished Limoncello. In my experience, World Market is a good place to find both the glass jar and the small bottles. You will also need a veggie peeler (see note further down). Unless you are using organic lemons, wash them with produce wash or soap to remove any residue of pesticides or wax. Dry with a clean towel before proceeding. The next step will be to remove the peel from the lemons in long strips using a vegetable peeler. You want to avoid getting an excessive amount of the white pith, which will lend bitterness. In the past I used an standard vegetable peeler and had a fair amount of the white pith, which I then tried to trim off with a pairing knife… a bit of a pain. This time I used a Titan peeler (see photo left) and it was fabulous! I was able to get clean strips of peel with almost no white pith! So, I highly recommend buying one, though be careful, they are super sharp. I cut my finger with it once so was a little intimidated. But if you hold it properly and don’t peel toward your fingers, you’ll be fine. After peeling the lemons, save what remains for another use (such as making fresh squeezed lemonade). The next steps are to steep the lemon peels in alcohol and then later create a simple syrup which you combine with that, and then steep a bit longer. I’ll refer you to the recipe for the rest of the information. Be sure to read the Frankie’s Tips on page 2 of the recipe before proceeding. Is it a pizza? No, not really. Ciao amici! With Easter coming early this year I wanted to post this in time for you to consider making it for your Easter brunch or dinner. It is well worth the effort involved. This is not really a pizza in the traditional sense. It is often referred to as a torta, which I think is more accurate. 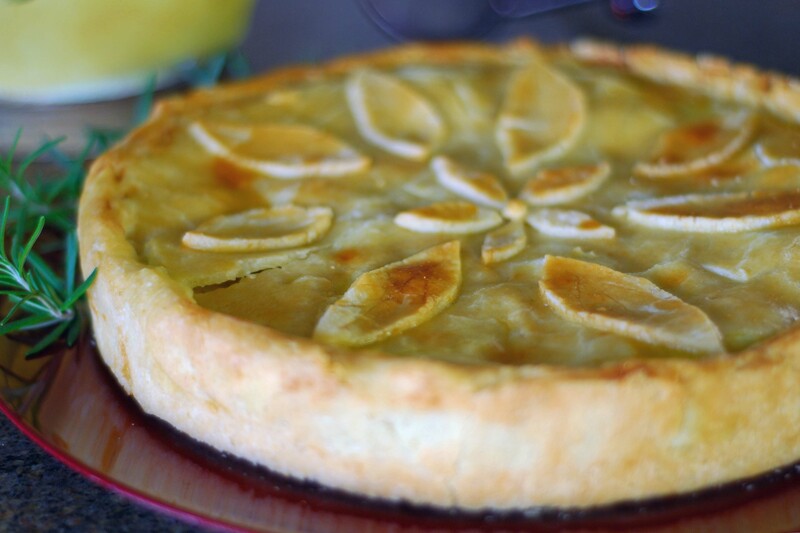 In Naples and southern Italy it is traditionally served on Ash Wednesday and again on Easter so it is also known as Easter Pie. 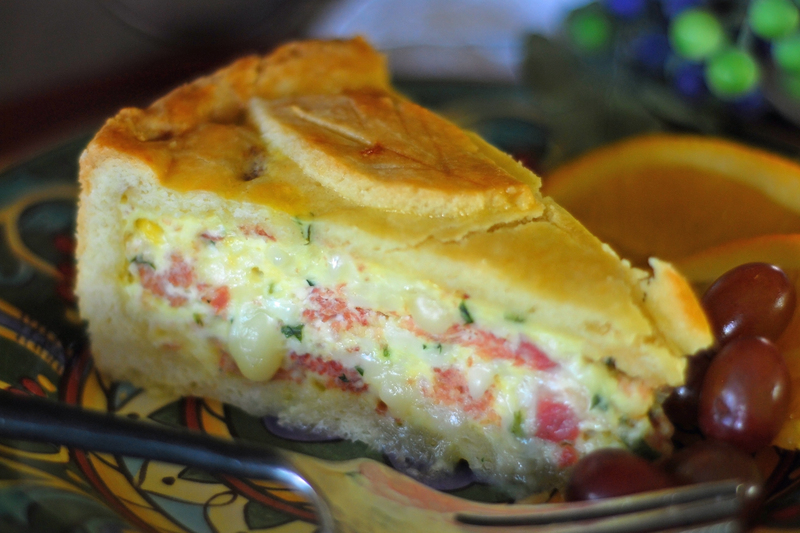 This dish is very unique in that it combines a sweet, tender, egg pastry dough (what the Italians call pasta frolla) with savory fillings such as prosciutto, salami, eggs, and a blend of cheeses. The sweet-savory combination comes alive in your mouth. It is one of my personal favorites. If you are having a party or an Easter brunch, and don’t mind going to a little trouble—this delightful, unusual dish will impress your guests like few others. It looks gorgeous. It’s delicious. And it tastes unlike anything they’ve ever had before. We made it for one of our Frankie’s wine dinners and it was one of the most popular dishes we’ve ever served. It may be served hot or at room temperature. This recipe is is my cook book, but for those who do not have a copy I wanted to post it here. This would be a great recipe for Christmas Eve or New Year’s or any time you want to impress your friends or family. And it really is fairly easy to prepare. No special skills needed! I tried many different recipes before developing this one. I took the best from each and developed my own recipe which I think tops them all. 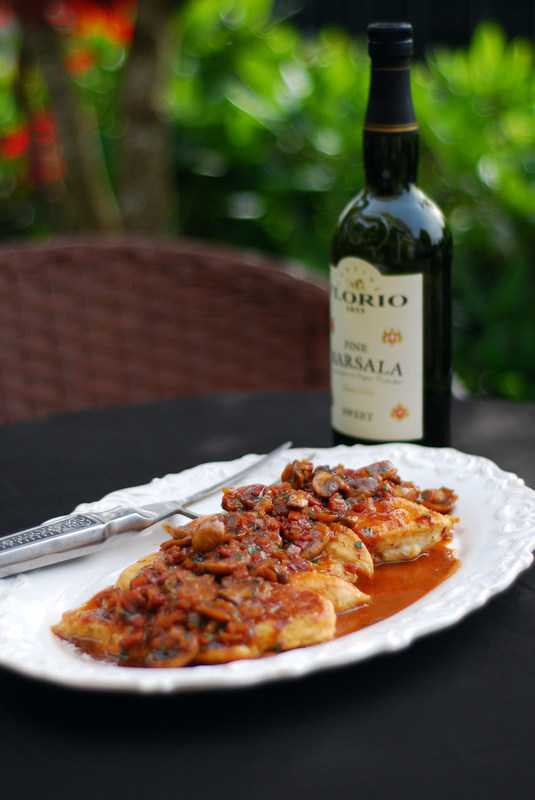 Marsala is a fortified wine from the Island of Sicily. It comes in a “sweet” or “dry” version. 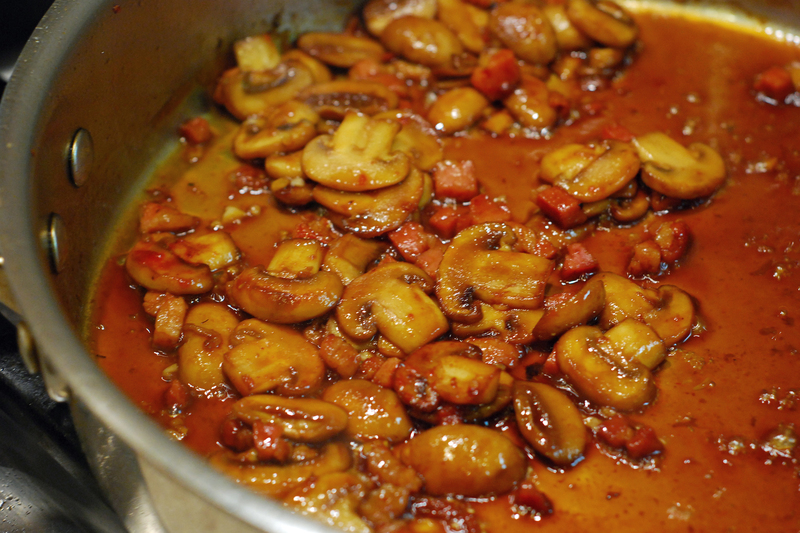 The recipe calls for Sweet Marsala but I’ve used Dry and liked it just as well. It is just slightly less sweet. Hope you enjoy! Buon appetito e buon Natale! Panforte. A wonderful Christmas recipe! I grew up eating fruitcake. And I actually like the stuff. Not sure what that says about me… but yes, I’ve been accused of being one. My Mom would make fruitcakes and place them in the refrigerator, and cover them with a Brandy soaked cloth. When I was young that was a bit strong for me but as I grew up I came to like it more and more. Well the people of the ancient city of Siena in Tuscany have a dessert called Panforte. Though sometimes called an Italian fruitcake, it shares little resemblance to the version of fruit cake so many of you despise. I first made it when doing my cookbook and it was sooo good that of course it made the cut. Panforte is a traditional dessert–really more of a gooey confectionary–originating from the ancient city of Siena many centuries ago, but now popular all over Italy. Panforte’s main ingredients are honey, sugar, almonds, hazelnuts, candied citrus peel. Some versions have dried (not candied) fruits. It also has many of the spices you would find in a traditional spice cake. I’ve made this for the holidays. Its so rich that its hard to eat a lot at once, but I couldn’t keep from snacking on it several times per day. A fun option is to make a number of mini Panforte to give away as gifts. To do so, double the recipe and cook in a 9×13 baking pan. Then using an oiled circular cutter, cut into mini Panforte. Wrap each in wax paper and tie with colored string. You then have all the yummy leftover scraps to eat yourself. Buon appetito! And an early Buon Natale!